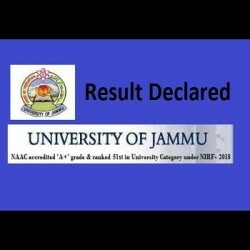 The result of Jammu University has been released. The result declared are for three-year BA, BSc, BSc Home science, BCom (general), BBA, BCA, BCA, BCom (H) fifth-semester exam. The results are available on the official website of Jammu University: jammuuniversity.in.